Summer is approaching, my backyard has come to life with the lush greenery of late Spring in northeast Ohio, our youngest daughter just graduated high school, and as I take a moment to reflect, interrupting my accustomed pattern of research, gardening, and violin practice, it suddenly occurs to me: By this time next week I will be in Milan with my family beginning a long anticipated three-week journey through Bella Italia. Having spent the past few months with my nose in the books, exploring various theoretical constructs and cultural understandings related to human values as seen through a systems lens, I now feel a need – and a readiness – to consult the sacred and majestic works of Michelangelo and Caravaggio, to peel back the layers of time while walking in the footsteps of the ancestors, from fertile Lombardy to the glistening shores of the Mediterranean, following the ever-moving spirit of inquiry through catacombs and ancient bathhouses, along the Appian way and down to the Grecian amphitheaters of Siracusa. Sono pronto …I am ready! In my mind, and in my world, systems are converging! I have caught the hermeneutic spirit – the idea that the only reality we are capable of knowing is that which emerges from relationship. Words and images once familiar and static are becoming un-lodged from their conventional moorings, and against the background of a fluid and ever-changing global context, new meanings are hatched, bringing forth new energy, new life. I am beginning to see human values in a different way! One thing at least is clear: change on a global scale is afoot! The arctic ice sheets are melting and can’t be stopped! Genetic science is creating new life forms. Much of the private sphere is again becoming public. Digital “sensors” are tracking our daily movements in virtual space and in real space. Not only our daily transactions, but the very objects of our attention are being tracked by large corporations like Google. Add to this the notion of an approaching “singularity” driven by logarithmic growth in the capacities of artificial intelligence, as suggested by author Ray Kurzweil, or the profound implications of ‘Big Data” which according to Alex Pentland will enable social scientists to predict and modify human behavior on a mass scale. Yet with all this change, it seems the biggest story of our time – the era-defining narrative that will be told by historians of the future – may have less to do with technology (that which we can do) than with telos (that which we should do). As I look ahead to a journey through the land and seas of Homer, my mind travels further to the horizon that is the start of a larger journey, the collective journey that will carry us all as members of the human family into an uncertain future. I ask myself, who will be at the ship’s helm? 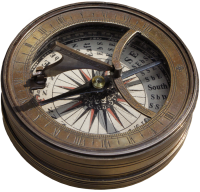 By what compass will we navigate? I suspect that the big story – the one most likely to define our collective future – has to do with human values. Allow me to explain. It is no mystery that our generation – this generation of global citizens – lives within a field of tension created by an ever-widening gap between the persistent, abstract logic-of-the-free-market, and the increasingly degraded qualities-of-life-as-experienced by our fellow human beings around the world. Viewed through a systems lens, we encounter the image of a world in flux, potentially destabilized by a widening gap between the emerging values of a civil society on the move, and the conventional normative structures enforced by the long-standing institutions of industrial capitalism. This gap appears to separate qualitatively different systems of values, and associated large-scale social systems that express qualitatively different characteristics. The one functions like a self-organizing life form, expressing patterns of disequilibrium and emergence, leading to innovation and change; whereas the other functions like a well-honed machine, efficiently working to absorb disruptions while maintaining an overall condition of homeostasis, producing stability in the short term, but at the cost of long-term sustainability. Both systems deal in values, but in very different ways. Through the lens of practical philosophy, otherwise known as hermeneutics, this duality can be seen an encounter between abstract theory (a dogmatic insistence that all will be made right by the techno-fix, or the invisible hand of the market) and the increasingly hard to ignore evidence-based accounts of a true global crisis. Yet, even amidst the widening gap between the haves and the have nots, something new seems to be emerging. Jeremy Rifkin describes how the “Internet of Things” is giving rise to a new “collaborative commons” that will end capitalism as we know it. Other thought leaders interpret current events as evidence of an evolutionary shift, signaled by the “the largest social movement in all of human history” as described by Paul Hawkin, or an impending global spiritual awakening, a “Great Turning” as described by Joanna Macy, and later David Korten. Likewise, more and more corporate leaders are beginning to embrace John Mackey’s and Raj Sisodia’s notion of “conscious capitalism,” or Peter Senge’s not-so-hyberbolic account of a “necessary revolution” where businesses worldwide are learning to transcend the old binary of economic versus sustainable value. Evolutionary theorists, including the late (and beloved member of the Saybrook community) Bela Banathy, have given us reason to believe that a normative shift is at hand, where disequilibrium created by 500 years of commodification and industrial expansion is giving rise to an awakening consciousness where the purposes engaged in the public sphere henceforth will be centered on creating conditions that are favorable to life and to the progressive and equitable unfolding of human potentials across diverse cultures and worldviews. I, for one, am ready to embrace and work towards this ideal image of our global future. But when I watch the daily news, I can’t help but to wonder whether it might be our conception of rationality itself that must change. It seems to me that, at a minimum, we must expand our notion of “universal rationality” so that it becomes less dogmatic and more infused with the vibrancy of an ongoing social conversation centered on human values. [W]e, who live, are simply the existing caretakers in a grand scheme of caretaking. But what is the value of “caretaking”? What do we owe to the future or the past, and why should we caretake for either, when we’ve got plenty to do to take care of ourselves? Some (nonrational) wiseacres want to know what the future generations have ever done for us. The rational answer is that they have made us human – an integral part of human destiny. If we start taking care of ourselves only, we simply lose our human quality and become and ostracized species (p. 30). Consistent with this perspective on rationality and its connection to the human value of intergenerational “caretaking,” I believe we can sustain a dialogical and relational field of inquiry that is open to meaningful encounters with the real and a collective re-centering of values beyond the conventionally rigid horizons of today’s institutionalized norms. Such an inquiry must, of necessity, give rise to a broad-based social movement to redefine rationality itself. Has this ever been done before? This question will be on my mind as I journey through the land that was the birthplace of classical humanism. This is the only the start of an inquiry, but since one must start from somewhere, I offer this: While past generations have seen changes at this basic level of the cultural “operating system,” such a shift has not occurred recently, and never before has such a redefinition of the guiding logic of a culture been accomplished on the basis of the collective will. We are in uncharted territory, and it seems the only way to redefine economic rationality is through an evolutionary mass movement, supported by a sustained public dialogue unfiltered by the commercially-driven “meme machine” of the modern mass media. Through artful, participatory use of the digital tools and other cultural assets available to us as citizens of the 21st century, we can and must self-organize in ways that enable the unfolding of new structures of consciousness at the individual, social and societal levels. In this way, each of us can find opportunities to actively participate in the co-creative, dynamic and ever-unfolding process of meaning-making that defines, and if necessary redefines, what is reasonable as we confront changing realities and together seek to reconcile our institutionalized human values with the emergent qualities of healthy living systems.